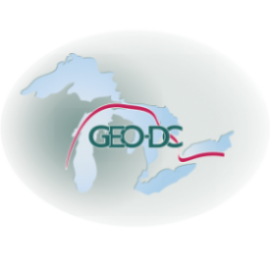 The Greater Escarpment Organization of Door County (GEO-DC) began quietly in the spring of 2012 as the necessary groundwork commenced. We achieved 501(c) 3 status in September of 2014. In April of 2016, with the invaluable help of Dr. Roger Kuhns, we mapped a Master Plan to sustainably guide us in the 5/10/20 year planning process. During the intervening years we have sponsored lectures at northern Door municipalities, educational facilities and historical organizations. We facilitated lecture/hikes on the Escarpment as part of a local fundraiser for the Door County Land Trust and are in the process of partnering with local kayak and Segway tours for special events which highlight the Escarpment. Four active members of our organization are repeat presenters at the Bruce Peninsula “Sources of Knowledge” conference each May. In June of 2017 we purchased the property at 11876 Hwy. 42, with its breathtaking view of the waters of Green Bay meeting the western bluffs of the Escarpment. Consistent with our philosophy of sustainability and re-use of existing structures and materials, the building will become the home of the Niagara Escarpment Discovery Center. We spent much of the summer and fall donating “sweat equity” repairing, renovating and cleaning the structure for its intended use. As you may already know, we ran into a major “open to the public” snag last spring…the requirement of 2 ADA bathrooms prior to public access. We managed to hold several “invitationals” to get around this for last summer. There is absolutely NO grant funding available for capital improvements…even ADA required improvements. These funds are the most difficult of all to capture. Alas, nobody really cares to have a loo named after them. The Town of Liberty Grove allocated $17,500 to GEO-DC for 2019. Since the beginning of the year, we have received two significant private donations totaling $15,000, as well as a number of smaller donations. Our current bank balance is $47,566.51. This figure does not include funds yet to be to be received from the Town budget or from privately pledged donations ($27,500). GEO-DC has met several times with the Commercial Building Inspector, asking to complete ONE bathroom and stub out the second for the time being (until we have exhibits finished and are ready for the anticipated heavier traffic). He has agreed to our plan which gives us some breathing room. Last month we hired a general contractor to coordinate all construction/rehabilitation. Her name is Amber Beard, an Ellison Bay native with a degree in architecture and LEED certification as well as extensive global experience in sustainable building practices. She is PERFECT for the job! When I read her BIO and listened to her oral presentation, my first question to her was, “Why in the world, with all of your experience and world-travel, are you interested in our little project? !” Her reply…” I wanted to come home.” How can anyone argue with that? Roger Kuhns and Nancy Goss are the Project Managers; and liaise between Amber and our Board. Amber has already compiled a list of recommended contractors, and drafted a “priorities” list along with some suggested modifications to our current plans. She is confident we will have our ADA public bathroom for our 2019 season of educational programs. In Early February, we held an all-day programming workshop. Our theory, philosophy…whatever you want to call our collective gut feelings, is that we need time to grant-write and fund raise for the exhibits we envision for the Center. We fully understand the delays we’ve experienced, and have decided to use 2019 as a year of programs…lectures at the Center, followed by hikes of different areas of the Escarpment. We will be using local escarpment trails located on properties owned by Land Trust, Nature Conservancy, Clearing, County Parks, and Liberty Grove Parks. We’ve selected sites that illustrate different escarpment features or impacts on environment or history, such as lake levels, geologic stratification, flora/fauna, historical limestone industry in Door County. Dr. Charles Shabica, one of our charter consultants from Northeastern University in Illinois, will be here to lecture and lead a hike on the Escarpment and Limnology in mid-July. We will be meeting again in early April to finalize our programming schedule, after which we will post the dates, activities and topics on this website and Facebook. Our goal for this first summer is to have at least one lecture/activity at the Center each month…more if we can manage it. Continuing our “summer of education” while we are funding and building exhibits…we will be installing signage at the Town’s Porte des Mortes park. Specifically, the new stairway to the water. It is a living escarpment classroom! We approached the Town of Liberty Grove last October for permission to do the educational signage, and were delighted for the support we received. A grant application was immediately submitted to the Wisconsin Coastal Management Program for financial support to fund the signage. Concurrently, another grant was submitted, also to Coastal Management for funds to develop an escarpment K-12 program for northern Door County schools. GEO-DC is pleased to report that BOTH requests were approved and will be funded at 50%, with total project estimated costs of $30,000. GEO-DC volunteers will be providing their 50% ($15,000) in “in-kind” contributions. The nice part of this particular source is that it leaves the door open for grant re-application next November to continue both the K-12 programming and the educational signage in county-wide parks with notable escarpment features. GEO-DC will be partnering with the Ridges Sanctuary on Memorial Day weekend for their “Festival of Nature” fundraiser. Every year the Ridges selects an environmental organization to be featured in their Festival brochure. We will be offering two escarpment hikes…one geological, one botanical. We don’t get to keep any of the funds; however, the exposure and networking is important to us. Come hike the Escarpment and learn with us! GEO-DC has also been asked, and agreed, to participate in “Every Day is Earth Day” to be held in late April at the Kress Center in Egg Harbor. We will be sharing a table with the Clearing. Roger Kuhns will be presenting a 45-minute workshop entitled “Escarpment 101.” We hope to see you there! Cultivating knowledge and stewardship of the Niagara Escarpment corridor and its geological, ecological and cultural wonders in people of all ages and from all walks of life.